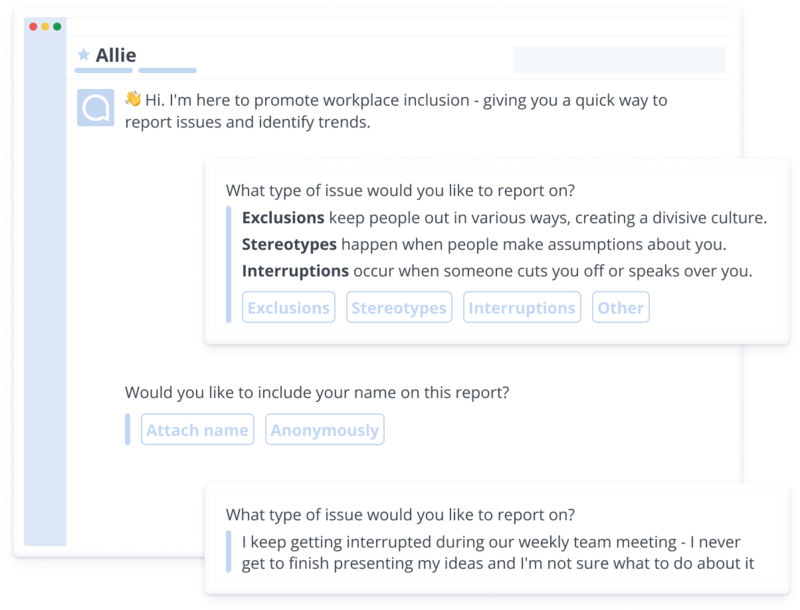 With Allie, team members can message for feedback, surveys, content and training around diversity and inclusion. Companies have no way to track these seemingly small incidents, so these issues only come up when it‘s too late—either during exit interviews or performance reviews. While 71% of organizations try to foster diversity and inclusion, only 11% have such an environment today. 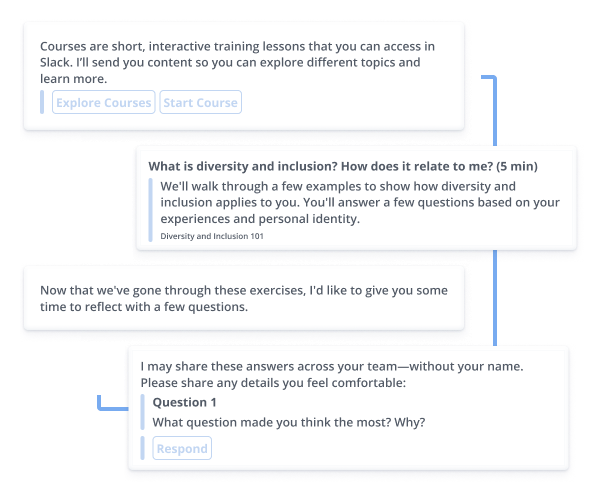 By bringing to light subtle bias or "microaggressions" that may otherwise go unnoticed (interruptions in meetings, uncomfortable jokes), you can intervene before it becomes a problem. 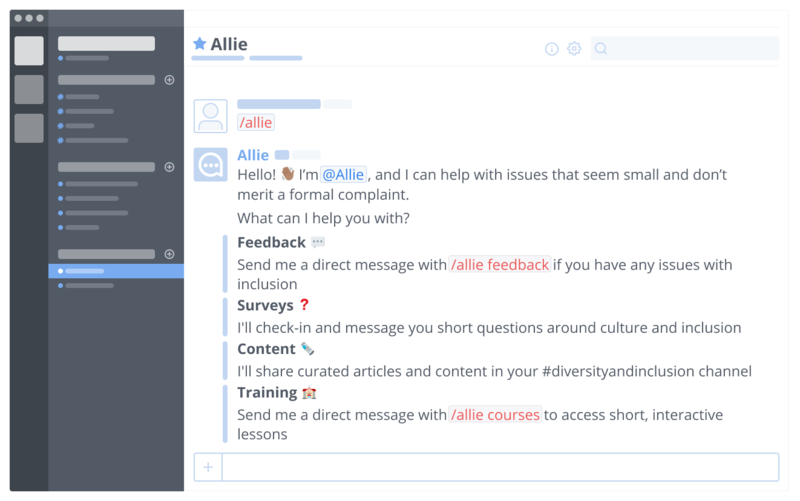 Allie is always responsive and located right in Slack, so team members have easy access aligned with their day to day. We meet everyone where they are and reduce barriers for them to always feel included at work. Allie tackles diversity and inclusion from multiple approaches in every part of an employee lifecycle. 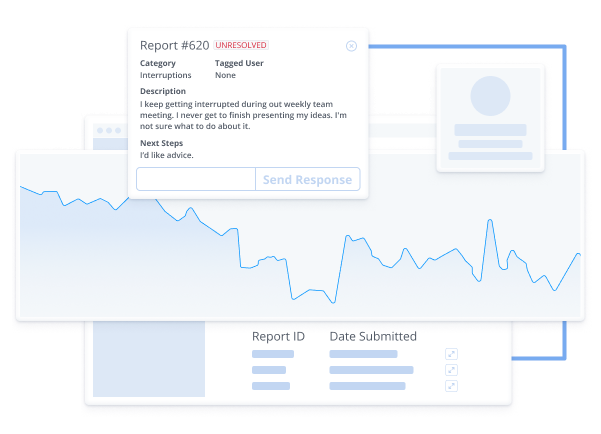 Our features inform one another to deliver relevant content and training along survey or engagement trends. Allie bridges the gap between data and feeling for executives to quantify culture and commit to action. We help you surface trends and narratives to improve accountability within your organization. Employees perform best when they feel valued, empowered, and respected at work.